For more than 20 years the Tischhauser Law Group has protected consumers against the harassing and abusive methods debt collection agencies use to collect debts. You deserve respect, even when you have fallen on hard times. If another person's negligence caused you to suffer physical or psychological injury, you can open a personal injury claim. Negligence means failing to follow a basic standard of careful behavior and causing an injury to someone else. Examples of personal injury cases include: -Auto accidents -Slip-and-fall accidents -Dog bites/animal attacks -Medical malpractice -Unsafe products -Dangerous drugs and unsafe work conditions If someone else's negligence caused an accident that injured you, the law entitles you to compensation for your losses. The Tischhauser Law Group has more than 20 years of experience protecting injured people in Tampa and throughout Florida. Attorneys Mark Tischhauser and Rick Peck use their civil litigation experience and settlement negotiation skills to get you the recovery you deserve. Your trusted allies If you have been injured in an accident, don't put your trust in the hands of an insurance company. You may not know your rights or what to say when insurance company representatives contact you. If you have been injured in an auto accident, many insurance companies take advantage of victims who don't have an attorney to represent them. Your insurance company may not even inform you of all of your rights. At the Tischhauser Law Group, we take your side against insurance companies. We know the techniques insurance companies use to deny you just compensation. We give you personalized legal guidance at every step of your case. We take the time to answer your questions, explain the law without complicated legal jargon and strive to return all communication promptly. Protecting your claim Every state limits the time you have to file a personal injury claim. Consult an experienced personal injury attorney in Florida as soon as possible to ensure that you file your claim before the deadline. We investigate your claim right away, to ensure that witnesses' memories remain fresh and evidence remains available. We answer your questions about your potential recovery and give you honest and direct assessments of your case. If we believe you have a case, we work diligently to recover losses associated with the injury, including reimbursement of medical costs and lost wages. Contact a personal injury attorney in Tampa who fights vigorously for you In some cases, our lawyers can arrange to visit your home or hospital to ensure timely investigation and filing of your claim. If you or a loved one has been injured, you may have a right to seek compensation. Call the Tischhauser Law Group at 813-666-8502 or contact us online to schedule a free initial consultation. We are conveniently located near the Tampa Airport and International Plaza. Mark Tischhauser has more than 20 years of experience in consumer law. As an active member of local, state and national bar associations, as well as a variety of civil organizations, he stays informed of the important issues affecting his clients. His experience as a former Combat Engineer in the United States Army and martial artist reinforces his tenacity and determination to achieve remarkable results without wasting your resources with a "nothing is impossible" attitude. Unlike the "stereotypical" lawyer, raised in a family of professionals, in a gated community, and the proverbial silver spoon to eat with, Mr. Tischhauser was grew up in a loving middle class family, where good work ethic and commitment to achievement on one's own, was the focus of his upbringing. As a result, Mr. Tischhauser readily identifies with the everyman and the day-to-day struggles of the "Average Joe" from ground level, rather than as an observer from an ivory tower. Mark's legal advice and representation arise from a strict adherence to his principles of integrity. He defends his clients with their interests in mind. This means you can expect direct, honest and clear guidance about your case. 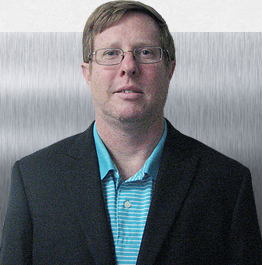 Mark is known for his highly personalized service and undivided loyalty to his clients. For an attorney who works to cut your costs and still maintain a high level of service, call the Tischhauser Law Group at 813-666-8502 or contact us online.